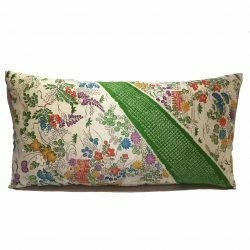 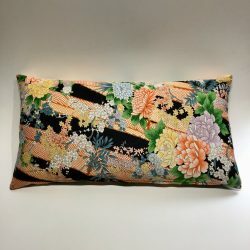 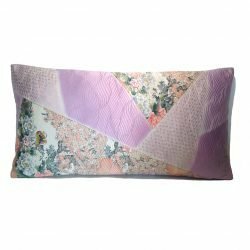 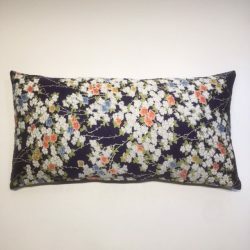 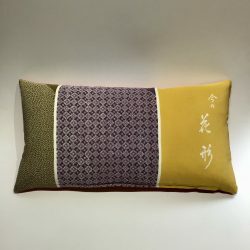 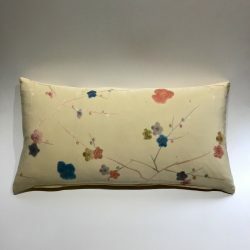 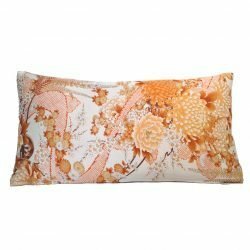 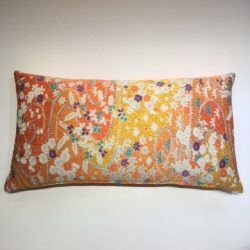 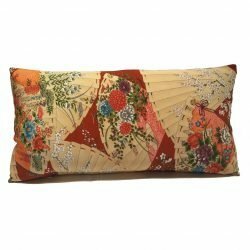 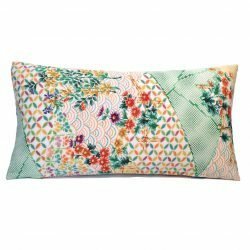 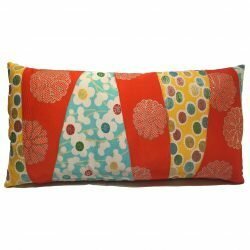 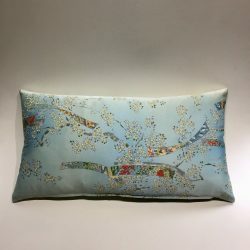 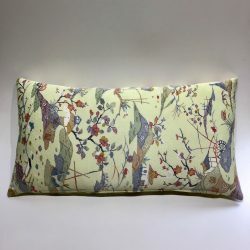 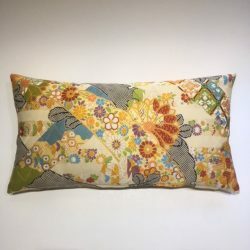 The vintage silk cushions are cut from one off rolls of Japanese kimono fabric. 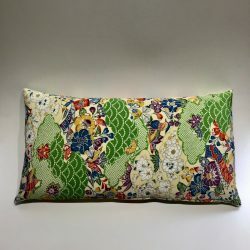 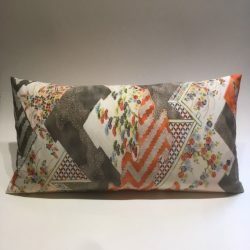 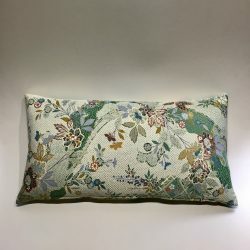 These fabrics range in age from 30 to 70 years old, and the patterns will never be mass-produced, so our customers know they are getting a special piece for their home. 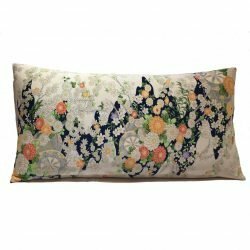 All kimono silk cushions are lined in a contrasting fabric to give the outer silk more stability. 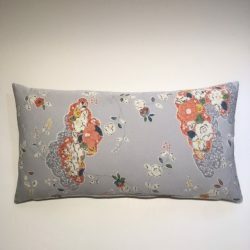 Please enquire by email (contact@cheesoonfitzgerald.com) or phone (02 8399 1305) if you would like to order more than one cushion in the sizes listed on our website, as there may only be one is stock at the time or purchase. 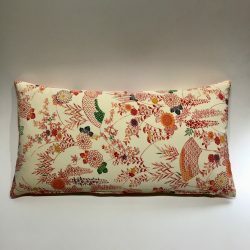 All inserts are made from natural feather. 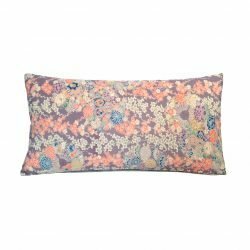 For allergy sufferers we make to order woollen or acrylic inserts. 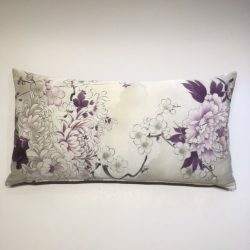 Cushion inserts may be washed if necessary, and also tumble dried.